If you get the tube, perfect. Love the packaging by the way. PLEASE stay away from the jar! 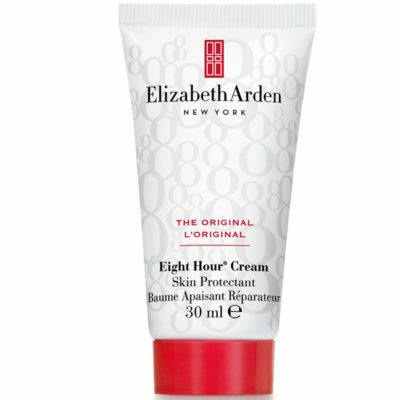 Elizabeth Arden Eight Hour Cream contains mainly: Vaseline, lanolin and mineral oil. And on top parabens! What a deal! God sake prepare it at home! Elizabeth Arden Eight Hour Cream is greasy. Really greasy. It’s almost an aftersun-like greasy thing, so I bet it’s great to use it as an after-sun. At some point Elizabeth Arden Eight Hour Cream might look or even feel as is sinking in, at the end, it doesn’t moisturize. However, I must say that may be good as a barrier. A bit pricey, the sticky texture and the unpleasant icky fragrance. The parabens. And so much more. This greasy not-impressing cream of Elizabeth Arden is just awful and disgusting! Yes, that is what it is a thick, semi-translucent, dark-tinted, glue consistency ointment that deserves only 1 stars out of 5, I mean just get aspirin, Vaseline and vitamin E, mix them all and you have something pretty similar. Sorry-not-sorry.